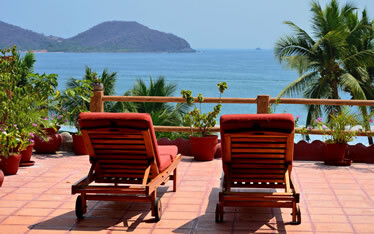 Zihuatanejo is a very beautiful place to vacation for its beautiful beaches, people and places. No matter your budget, since Zihuatanejo has places with affordable prices to spend a beautiful and enjoyable time, you can eat, walk and even stay in cheap places and of excellent quality. In the following list you will find the best places to stay and with very accessible prices, of course, without leaving aside the comfort and quality of services they offer. Click on the button More information and directly contact the accommodation of your liking and make your reservation. 8 Suites on La Madera beach. Air conditioned, kitchenette, M.D., beach side, phone in lobby, fan, travel agency service, laundry & fax. 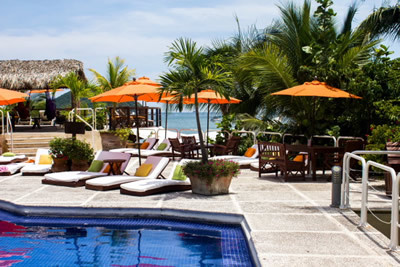 We are located in Zihuatanejo Bay, between Playa La Ropa and Main Beach. Only 4 minutes walking from downtown by the beach and 15 minutes from the airport. Tropical charm in a small family owned hotel. Let the sea breeze caress your hair and the waves sing their melodies for you...In this Mexican style hotel every suite has a private terrace overlooking the beautiful Zihuatanejo bay, offering breathtaking views. 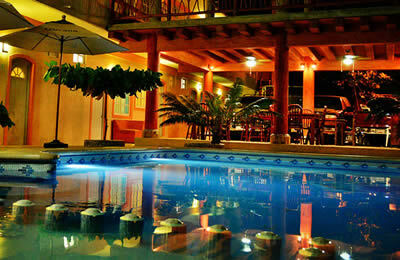 Brissa Mar Hotel have rooms with two double beds and rooms with a double bed. Each has its own bathroom with hot water, A/A, TV (plasma), TV / Cable, WI-FI, a large modern pool also has a children's pool and parking. Welcome ! Every room at Bungalows Vepao is less than 50 steps from the warm, soft sands of Playa La Ropa, the best beach in all of Zihuatanejo! We are not a big, impersonal resort, but rather a small, intimate hotel that will ensure your stay is safe, comfortable, and enjoyable. Lash foilige surrounds each unique two story bungalow. 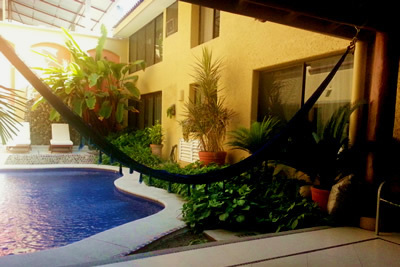 A tranquil, open courtyard with tropical landscaping and lovely views of the Bay of Zihuatanejo and the mountains. A wonderful place to restore and rest. 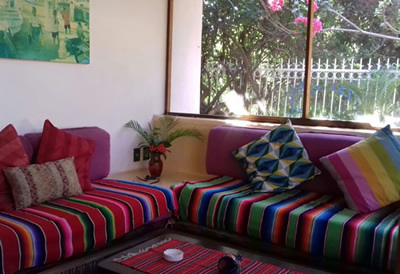 Small Luxury idillic hotel located in the heart of Zihuatanejo downtown with only 14 rooms, 5 of them with romantic balconies with view to the most beautiful and charming cobblestone street in Zihua only for pedestrians. 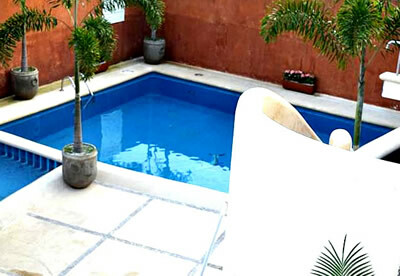 Also you can enjoy our blue tiled plunge pool with waterfall ideal to relax. The hotel is not friendly with children. Is ideal for people seeking for romance, fishermen and any other looking for tranquility and proximity to nice shops, restaurants and only a 2 blocks from the city pier. 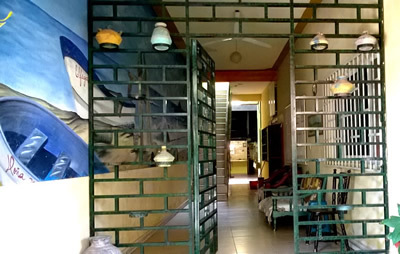 Fresh rooms, comfortable, clean and well ventilated to enjoy your stay. Located just steps from the main beach Zihuatanejo.Departamentos Center equipped with kitchen, refrigerator, dining room, TV, etc. with seating for 5, 10 or even 15 people. Shared kitchens and dining rooms. Free WI-FI! 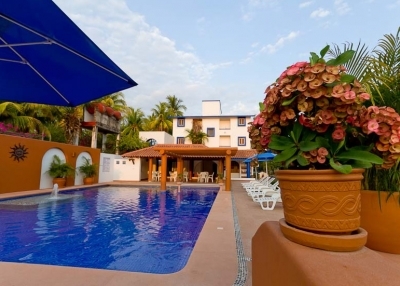 Hotel Casa Longino's is the place where you can enjoy your vacations time in the resort of Ixtapa Zihuatanejo. 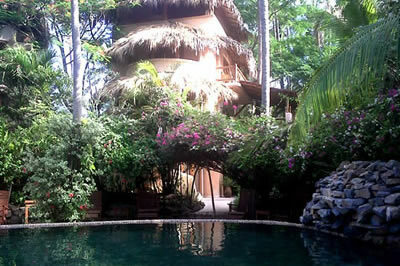 Paradisiac place of the Pacific coast of Mexico, Longino's House is located in the beautiful Zihuatanejo Bay. It embedded on the mountain, above the picturesque fishing village of Zihuatanejo, is just over 3 km from the resort of Ixtapa and less than 250 km northwest of Acapulco. 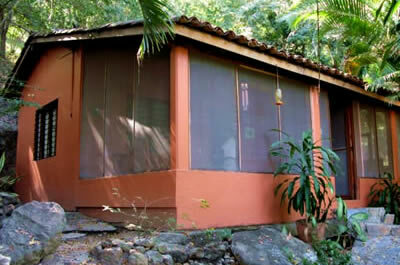 On La Ropa beach, eco-friendly home ideal for newlyweads and people looking for a quiet place surrounded by a natural enviroment. 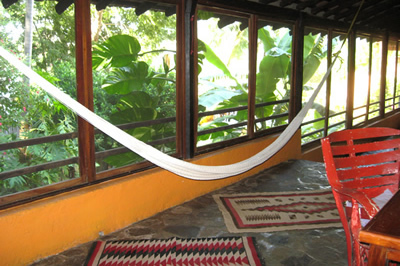 Casa Rosa is located right above our Hotel Casa Don Francisco short walking distance to La Ropa beach. The house has a partial view of the ocean and beach, air conditioned, full equiped kitchen, living and dining room gated with a mosquitos and bugs screen. These six exclusive villas are esconced in the heart of a palm grove and surrounded by tropical growth, where you will be able to enjoy the most excellent vacation interlude while still being within a short 4 or 5 minute walk from popular La Ropa Beach in Zihuatanejo, Mexico.